Rachel Riley attends Grassroot Soccer programming in South Africa, April 2018. JOHANNESBURG — Television presenter and personality Rachel Riley is on a mission to show that sport can not only change lives, it can save them. Riley has joined Grassroot Soccer as a Global Ambassador, using her platform to elevate the organisation’s mission to leverage the power of soccer to educate, inspire, and mobilize at-risk youth in developing countries. The Countdown co-host is continuing her relationship with the international non-profit, having attended the charity’s World AIDS Day Gala in London in December 2017. Grassroot Soccer programming helps youth to overcome their greatest health challenges, live healthier, more productive lives, and be agents of change in their communities. 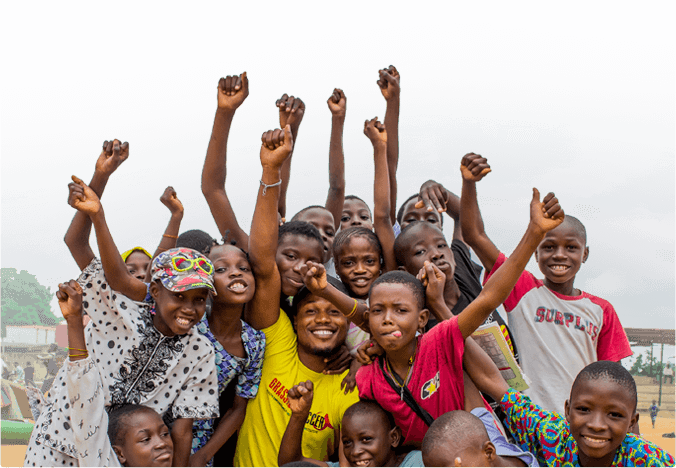 Since 2003, the organisation has reached more than 2 million youth in over 50 countries, providing life-saving knowledge about HIV and AIDS prevention and treatment, malaria, gender, sexual and reproductive health, and gender. In April 2018 Riley traveled to Soweto in Johannesburg, South Africa, for the inaugural Adolescent Health Partnership Forum hosted by Grassroot Soccer. The forum aimed to harness the power of partnerships, influence the global adolescent health agenda, and achieve collective impact for today’s youth and tomorrow’s future. The visit also provided Riley with an opportunity to visit Grassroot Soccer programming at an area school and meet with Grassroot Soccer Coaches and Participants. “The beauty of Grassroot Soccer’s approach is that they are tackling very serious health issues by connecting with teenage girls and boys through football, creating a safe and fun environment to learn life-saving information,” Riley says of the programs. You can follow Rachel on Twitter @RachelRileyRR and Instagram @RachelRileyRR. Copyright © 2019 Grassroot Soccer Inc.
We are more than just statistics.